Diving Holidays Egypt offers a perfect starting point for a dive or kite safari. A diving cruise (kite) Safari is the most impressive experience in the life of a diver or kiter. Sleeping, living, eating and relaxing on board, while the sea is always close at hand with you. This is a dream of every diver – kiter. At night you can watch the fantastic sky – which is pure liveaboard! Because of its interesting and unique geographical position of the Red Sea is one of the best diving in the world. In the middle of the huge schools of fish and colorful coral reefs you will be inspired by the spectacular diversity of marine life. Our liveaboard boats bring you weekly to the Brother Islands or in the deep south of the Red Sea, such as St. John’s, Zabargad and Rocky Iceland. 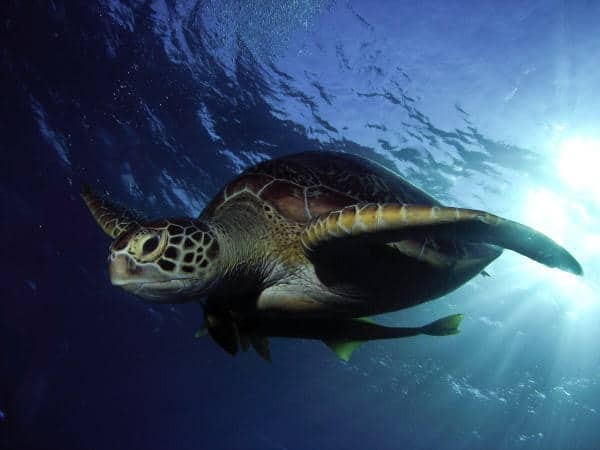 There you’ll find shoals of barracuda, sharks, rays, dolphins, giant turtles and manta rays, and others. Friends of wreck diving we recommend to dive the north of the Red Sea. Please note for your entry to Egypt the following things that I have compiled here for you: For Egypt, a passport is required which has yet to be six months, the planned duration of stay should be valid. You can even add your identity card to enter, but then should two additional passport photos with you. The Egyptian tourist visa is generally already been settled with the Marinepark- or diving fee on your booking confirmation. It consists of a sticker that you presented upon arrival at the airport by an employee with name plate / Ship name and get einklebst on any empty page of your passport. The visa application (small pink card) you will receive either on the plane or it is in the Arrivals Hall. Please fill in the application and show him and the instep glued visa at passport control before, there the visa entry stamp is provided. In Egypt there is, as in many other countries, a strict ban on exports, among others for all ancient objects as well as for a variety of nature and species protection under plants and animals (eg, corals), even if they were acquired apparently legally bought. On the website of the Foreign Office you find constantly updated safety information as well as a few other statements on the entry requirements in Egypt.